Don’t let the cold and flu season knock out your staff. Ask Gibbs Cleaning Services to show you how advanced, healthy office cleaning methods and products can help you contain, capture and remove dust, bacteria, mold, pollen and other allergens from your office. Cleaning for health is not only good for your staff, it’s also good for the health of our environment. 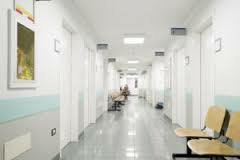 Improved Overall Health of your Organization – Overall indoor air quality improvement with minimized risk from cross contamination, exposure to pathogens and residual cleaning chemicals. Economic Benefits – Consider how healthy office programs might help complete your recycling or green business efforts. Contact Gibbs Cleaning Services Inc. of Queens, NY to hire a professional cleaning company that will clean for your health!